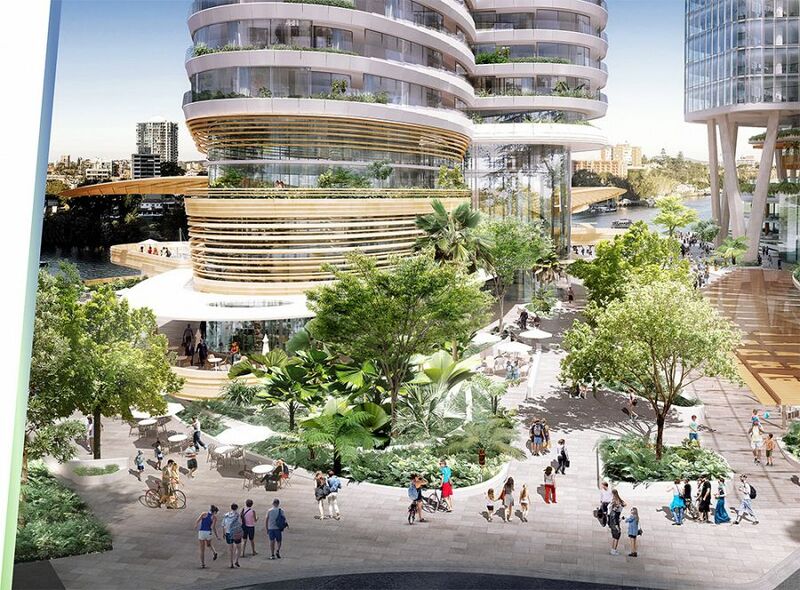 Dexus is progressing on its $1.4 billion redevelopment plan to unlock "the unrealised potential of the waterfront" in Brisbane. The property group unveiled its plans to transform Eagle Street Pier, including building two towers, closing Eagle Street between Charlotte and Market streets and opening up the riverfront space, in March. Dexus’s head of office development Queensland, Matt Beasley, said the response to the company’s announcement had been overwhelmingly positive. “Since the announcement we’ve been having both town hall sort of sessions with our customers in our buildings, the retailers, getting them up to speed on what the proposals are, what is the process moving forward and when we would be targeting to get that outcome,” he said. "We’ve acquired those assets and explored that opportunity and it’s really about unlocking the potential, unlocking the unrealised potential of the waterfront, really giving that back to the people." Several buildings are proposed to be demolished, which would result in the loss of restaurants Il Centro, Aria and Cha Cha Char. Mr Beasley said Dexus had been proactive with its consultation because it would allow the company to identify where any challenges would be. “We’ve looked at many different master plans, we've looked at stuff out in the river, bringing it back and moving it around,” he said. “It’s really about trying to find that balance between getting a true place outcome. “We’re going to build towers and we’re going to make things look nice, but it's actually about how you deliver place and places people want to go, want to take their families, they’re proud of, they talk about it and they want to encourage others to go to. Dexus will put its plans on display during an exhibition, open to the public, later in the year. From there it will submit a detailed proposal to the state in December. Mr Beasley said he hoped a development would be reached by May next year. Dexus manages and owns the buildings that are part of the Waterfront Precinct proposal, including 10 Eagle Street, 12 Eagle Street, Waterfront Place and the heritage-listed Naldham House - all of which would be retained for the development - and Eagle Street Pier, which would make way for two new towers. The project would include two new towers, with the potential for commercial use, residential apartments, a hotel and retail spaces, a traffic-free precinct, more restaurants and casual eateries and better access to and views of the river. There would be 1.5 hectares of riverfront open space, including shaded public terraces stepping down to the river and a new, wider Riverwalk section along the river.